Women from around the globe gather in Big Ocean Cottages to strengthen each other, discuss our beliefs, and find ways to effect positive change in their communities. Often the projects they want to undertake, especially in the global south, require more resources than they can access on their own. The intention of our International Cottage Fund is to provide grants to the women in Big Ocean Cottages to be the change they want to see in the world. 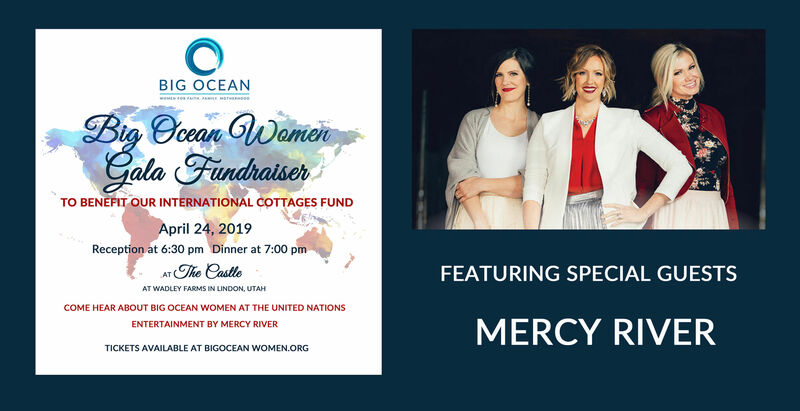 The ticket includes a reception, dinner, short program about Big Ocean's experiences at the United Nations and entertainment by Mercy River. Tickets include a reception, dinner, short program about Big Ocean's experiences at the United Nations and entertainment by Mercy River.